What’s The Safest Convertible Car Seat With The Most Innovative Features? Most of the times, investing in a product that is on the higher end gives you the best blend of features. This rule can definitely be applied to the car seat industry, where finding the perfect baby car seat for your loved ones can be a real struggle. Luckily, the phrase “you get what you pay for” is best proven by the top brands and their latest car seat models. Despite the fact that some of them may be ‘overpriced’ according to someone’s standards, there are convertible car seats for children that exceed everyone’s expectations. Ideally, the best premium car seat for your newborn, toddler or child is something that details some of the most innovative features available in premium car seats – and meets all the safety standards. 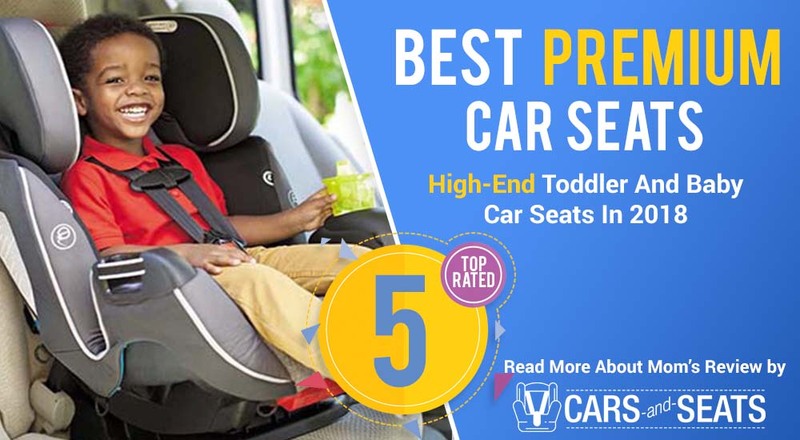 They give your children the best protection – Just like choosing a vehicle based on its brand and model, choosing a high-end car seat for children gives you materials of greater quality that are durable, reliable and complying with the latest safety standards. They are packed with amazing features – From machine washable and fully removable car seat covers to dual cup holders and LATCH technologies that fit children of different proportions, high end car seats are packed with a lot of features. They look beautiful – There is no doubt that the best fabric is used in these premium car seats. Whether it’s a pattern or a nice texture, you will see that the premium car seats always look beautiful and are easy to spot from miles. They are easy to use – Perhaps the biggest reason why parents buy expensive car seats is the fact that they are packed with systems making them easy to use. On top of that, models like these are long-lasting and can be used for decades which offers a great value for money. They are universal – Premium car seats can fit most of the cars – and are designed to be safe in a car of every make and model. Most of the times, the expensive price tag means that premium car seats for children are usable from the first trip from the hospital to their school years. In other words, high end seats are usually convertible car seats which can be used for 7-8 years – time during which you need something of great quality and value. Below, we are listing the hottest picks on the market. 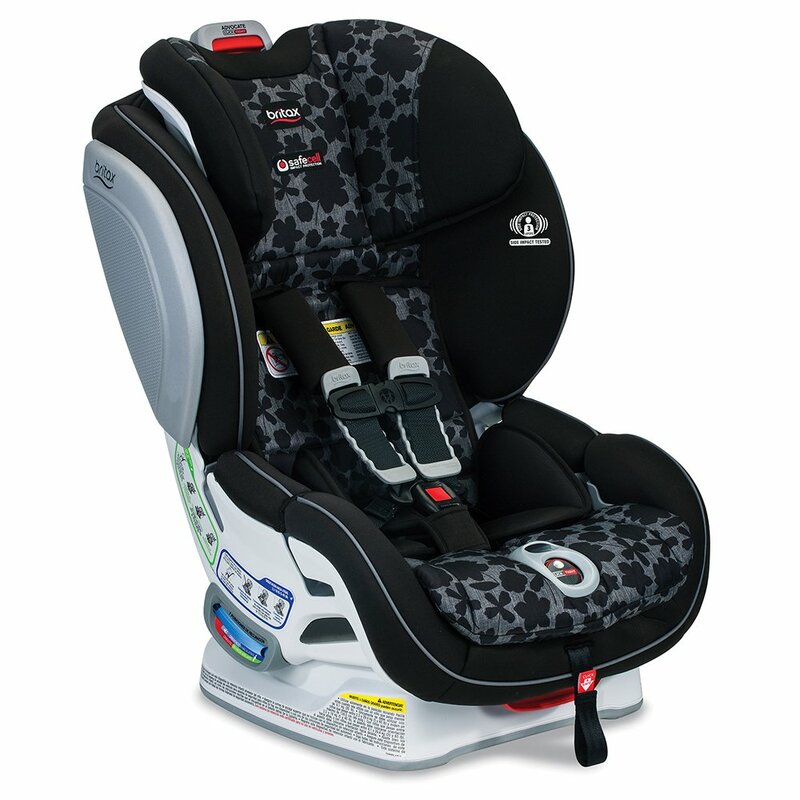 Britax is a brand known for designing some of the safest and easiest to use car seats. 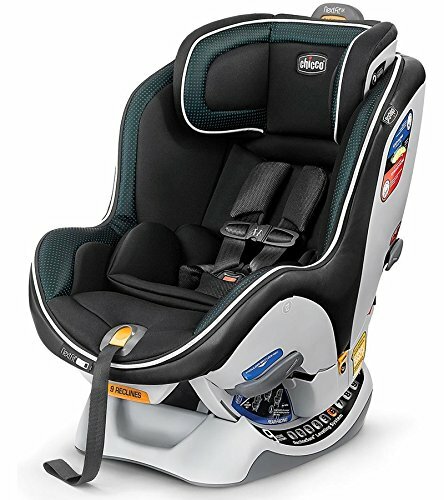 This model proves that Britax also knows how to design premium car seats for toddlers and products that are packed with a lot of high-quality materials. The Advocate car seat for children is a true bestseller on the market. It uses a special ‘Versa’ tether which is made to release in stages in order to minimize forces during forward movement. Additionally, the ‘Click & Safe’ system is another patented technology that makes a clicking noise when the snugness is just right. All of these systems and technologies are justifying the price tag of this model. However, what’s most important is the fact that there are more and more safety features than most of the car seats. For example, the Britax Advocate car seat is the first one that uses an Anti-Rebound bar. When used in the rear-facing mode, this bar braces the child seat against the back seat of the car and therefore prevents the seat from rotating or tipping towards the back of the car in case of an accident. The ClickTight system makes the model even easier to install using the seat belt in your vehicle. This is one of the features that make this premium car seat functional and convenient. 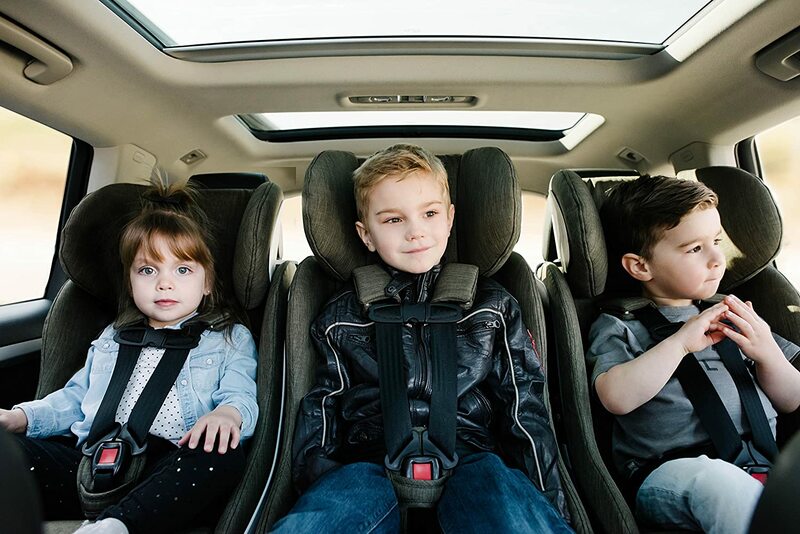 There are three layers of side impact protection which are formed by a deep energy-absorbing shell, a quick-adjust head protection system and side cushions that absorb energy while shielding your child from the most severe types of collision. 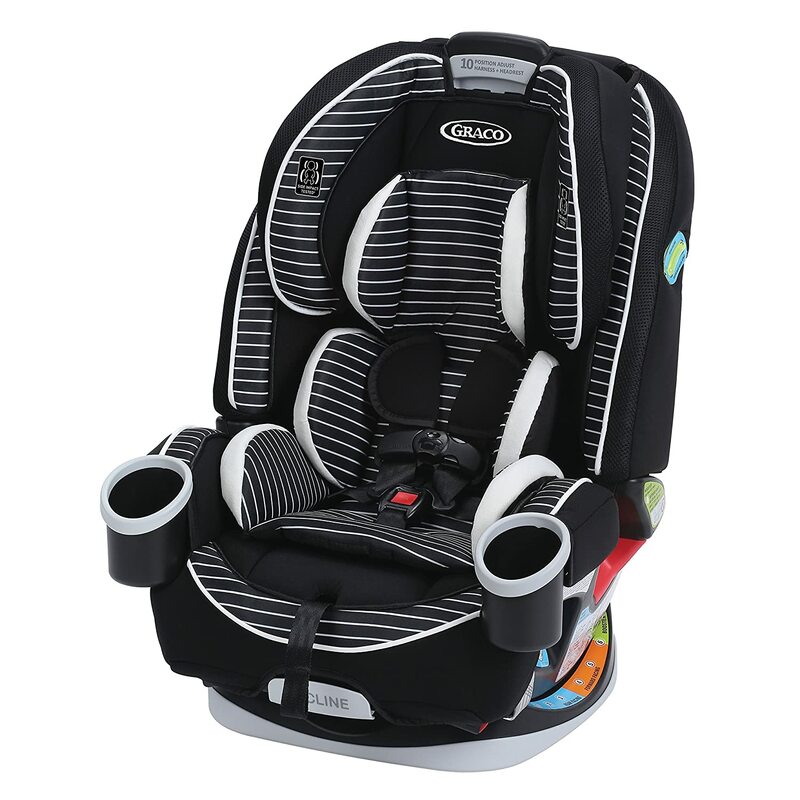 If you don’t want to skimp on safety and want a car seat that is heavy and sturdy, this is definitely one of the best choices on the market – and a product that gives you maximum comfort and convenience. As the manufacturer claims, this car seat can be used for 9 years which is the longest duration of most premium car seats – and much longer than the industry average of 6 years. This justifies the high price tag on the Clek car seat. But how does the chair actually compare to the other premium baby car seats? Well, there is a revolutionary forward-facing performance thanks to the rigid LATCH system that makes the front-facing installation effortless. This allows you to remove and install your seat in seconds and makes the entire process a breeze if you frequently change the seat between cars. The automotive-inspired REACT (Rigid Latch Energy Absorbing Crumple Technology) is also a safety technology worth considering. Tested and tried, this technology uses aluminum honeycomb deformable cores to reduce the force transmitted to a child during collision. When used in the rear-facing mode, this car seat is designed to the international best practices for extended rear-facing. This accommodates children in any rear-facing seating position until their 4th birthday (or until they reach the recommended height and weight). There is also a revolutionary forward-facing installation as well as advanced side impact protection. For an enhanced safety performance, the manufacturer has built a steel anti-rebound bar which improves stability by limiting the rotation of the child seat. This helps protecting your child’s heat in the case of a road accident and provides for a snug installation. The seat offers protection against stains, moisture and odor-causing bacteria and is free from any flame retardants. The Chicco NextFit luxe convertible car seats has among the easiest to use leveling systems on the market with 9 total positions and a bubble level indicator that shows you the proper range for forward and rear facing inclines. This makes the adjusting process easy – all you need to do is move the headrest up to the proper height and the straps will adjust along with it. The Chicco NextFit IX Zip LUXE is way cooler than the original Chicco NextFit product, mostly because the greater range of options available. Most of the differences lie in the buttery-soft knit and color-punched leatherette, improved fabrics and materials that add comfort and offer a chic and luxurious aesthetic that complements automotive interiors. However, there are also the ReclineSure leveling system and the RideRight bubble level indicators as we mentioned. These technologies help achieving and verifying the proper angle in a vehicle seat. They can accommodate to a wider range of vehicles in both rear-facing and forward-facing modes. For installation, all you need to do is tighten and lock the belt into place. The LATCH strap is also something important to mention. It has been designed to pass easily through the built-in slide path offering proper re-positioning. The LockSure technology produces lock-offs that make it easy to position, tighten and lock the belt into place. All in all, the NextFit line of premium baby car seats offer a list of great options. Whether it’s ease of use features, added safety features or quality of materials used, they are absolutely worth it. Choosing a safe car seat is very important nowadays – and this Peg Perego model delivers a lot of safety and added features. Even though the name is very long and difficult to pronounce (and Italian), this model has awesome functionalities and in terms of features, is one of the most impressive car seats on the market. 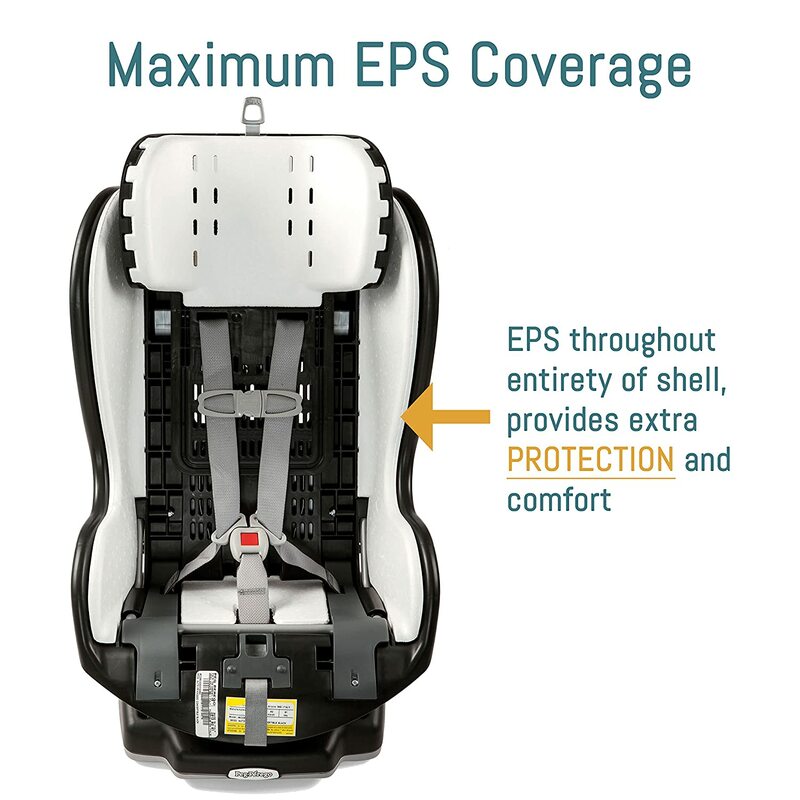 The Peg Perego is a convertible car seat which means that it can be used in several different configurations. Whether it’s a rear-facing infant seat, a forward facing seat for toddlers or a booster – it is one of the first convertible car seats available from the brand. It aims to bring a sense of style to the car seat market while enabling the parents to rear-face their children in a longer position. Overall, this is a good looking seat. However, the fact that surprises many is the fabric which is made of top quality materials and is fully breathable. Knowing this, the seat comes handy if you use it in a warmer part of the country or don’t have air conditioning. 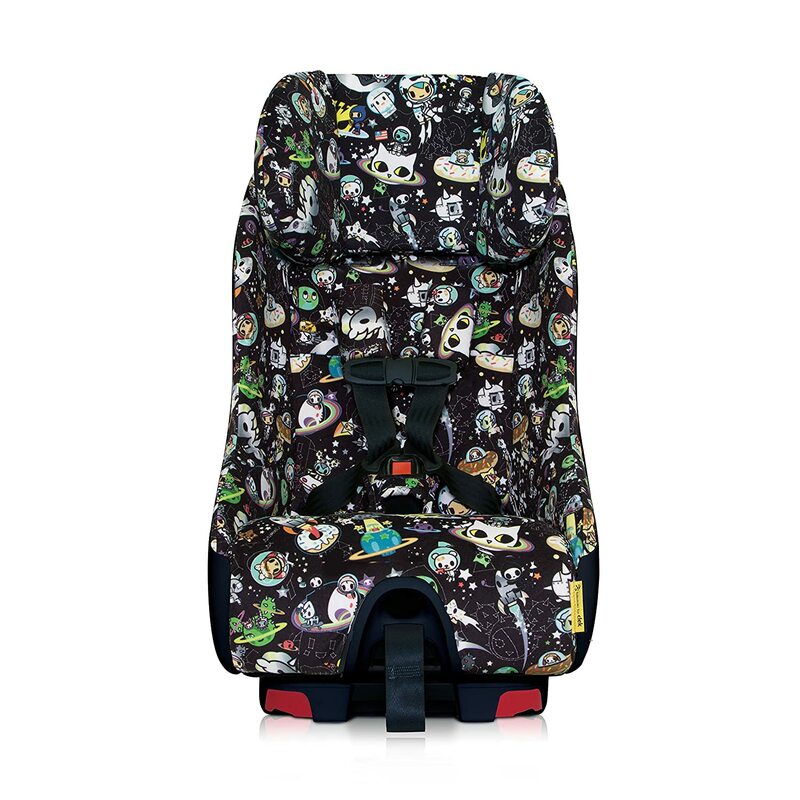 Aside from this, the Peg Perego Primo Viaggio premium car seat is very easy to install. All you need to do is position yourself behind the seat when installing it rear-facing, click the latch straps into position and move from one to another side while you are working the straps until they are tight. There is also a leveling line on the side that helps you get the angle correctly set up. The Graco 4Ever 4-in-1 convertible car seat can be used in most vehicles and is quite universal and versatile. This is one of the things that increase its price. The fact that it is easy to install, remove and install again makes it one of the best premium car seats on the market. The car seat supports children from 4lbs to 120lbs in even four positioning modes – the harnessed rear-facing one (4-40lb. ), the harnessed forward-facing mode (20-65lb. ), the high back belt-positioning booster mode (30-100lb.) and the backless belt-positioning booster (100-120lb.). All of this makes the Graco 4Ever 4-in-1 premium car seat one of the best on the market and a chair that can be used with a lifespan of up to 9 years. There is also a 10-position headrest that ensures comfort and a proper fit – as well as 2 integrated cup holders and an EPS energy absorbing foam for effective impact energy management. 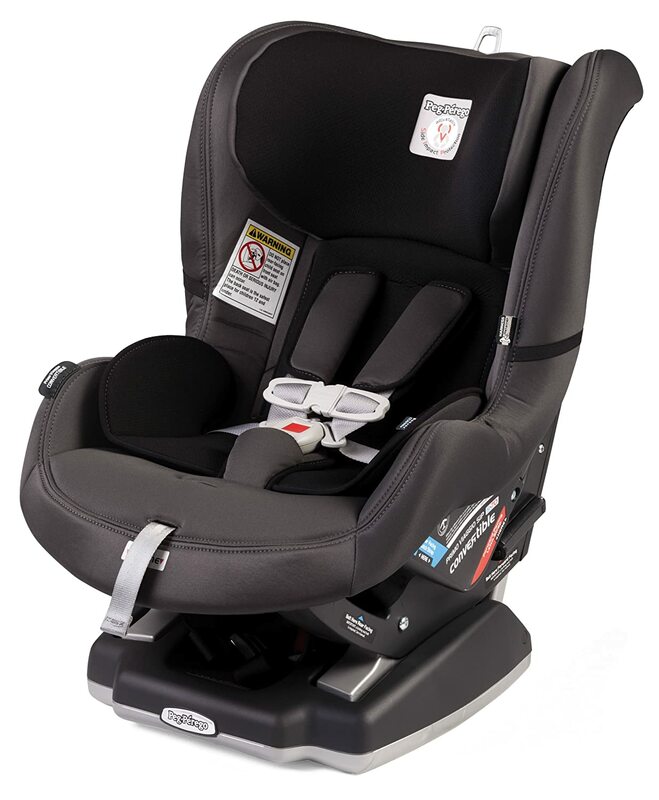 This high end toddler seat has been impact-tested for occupant retention with the integrated 5-point harness and in that way, meets and exceeds all the applicable US safety standards. So, if you are looking for a premium car seat with a steel-reinforced frame that is strong, durable and long-lasting, this is a product to choose. 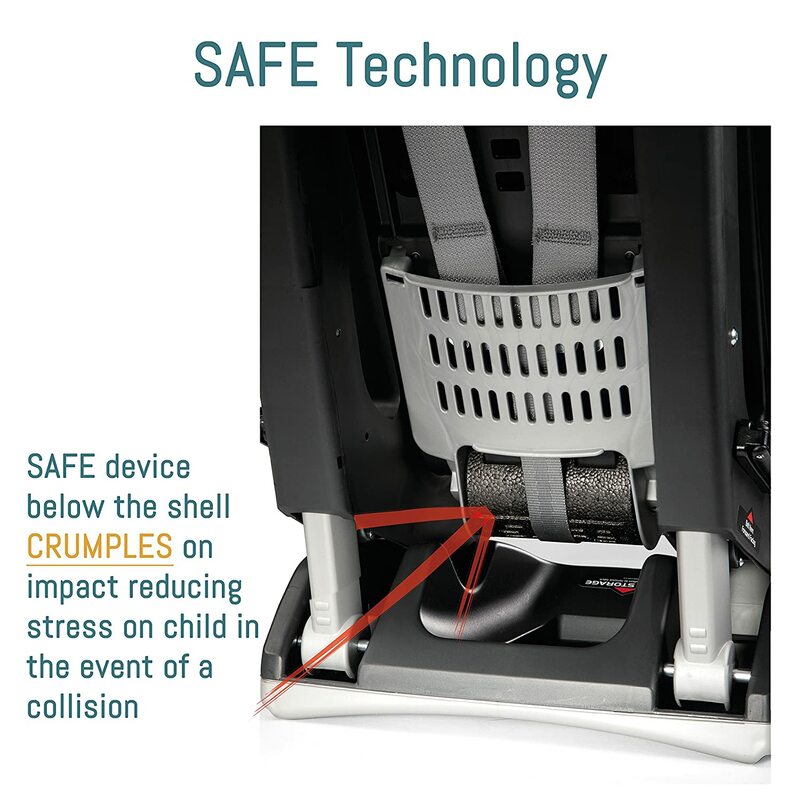 The InRight LATCH system gives you quick and easy attachments – and the SafeSeat technology is engineered to exceed all the US crash standards. In the end, buying a premium car seat for children is an investment that pays itself off in safety, longevity and functionality. Most of the times, these high end car seats are passed down to generations and actively used for as long as 30 years. Therefore, making the investment once and making sure that you got the best product is absolutely worth it. Have you found your car seat model yet? We hope that this review helped you choose a premium convertible car seat for your kids!